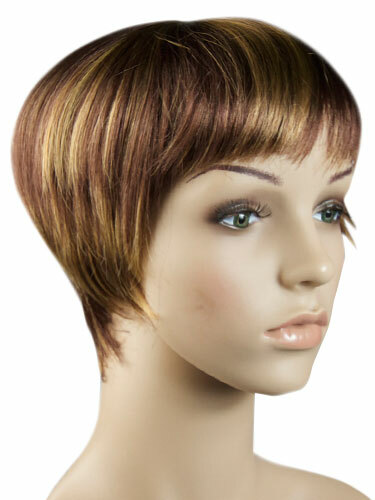 This wig features textured bangs and all over precision tapered layers that blend into a neck-hugging nape. Designed for the woman who wants the fashion and convenience of a new style and/or color.This wig is ideal for an average head size. The density of the ready-to-wear synthetic hair looks more like natural hair. The crown area has fine wefts allowing for the air to breathe, which has then been delicately covered with sheer netting for structure & comfort. There is also a soft, finishing strip at the edge of the wig, so that it will sit comfortably against your skin.